The term eczema refers to a topic dermatitis which is inflammation of the upper layers of the skin, causing itching, blistering, redness, swelling, and sometimes oozing, scabbing, and scaling of the skin. Some types of dermatitis affect only specific parts of the body, whereas others can occur anywhere and in the oddest places (within the ear canal, above eyelids). Some types of dermatitis have a known cause, whereas others are idiopathic in nature, meaning they have no direct cause. In any event, dermatitis is the skin’s way of reacting to severe dryness, scratching, an irritating substance, or an allergen. Chronic dermatitis may represent a contact, fungal, or other dermatitis that has been inadequately diagnosed or treated, or it may be one of several chronic skin disorders of unknown origin. Because chronic dermatitis produces cracks and blisters in the skin, any type of chronic dermatitis may lead to bacterial infection if left untreated. For some sufferers, dermatitis is not only an unpleasant nuance but also an embarrassment when lesions are located prominently on the hands or face. For severe cases, the immune system can be suppressed with cyclosporine, azathioprine , or mycophenolate mofetil taken by mouth, or injections of interferon-gamma. The medication both topical and internal use carry many sides effects because it is compromising the body’s immunity by directly suppressing it. In Chinese Medicine, it is believed that internal organ disharmony with external pathogenic factor together can cause the skin disorder known as eczema. Organ disharmony occurs when there is dampness accumulation and blood deficiency. The main internal organs that are related to eczema are the spleen and lung. External pathogens such as external wind and heat can also invade the skin giving rise to the presentation and symptoms of eczema. 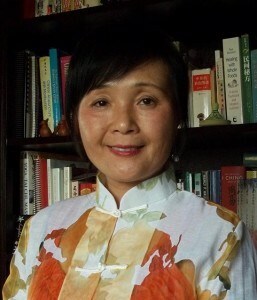 The concept of pathogenic “Wind” in Chinese Medicine means seasonal and climatic changes that can impact the body. Spring time is characterized by more wind and thus chronic eczema patients tend to have recurrent episodes during spring time due to the prevalence of “allergens” being swept up in the air. 1. Shell fish: Chinese medicine believe that shell fish and shrimps classified as yang food that easily produce wind, if the body already has certain deficiency, this can lead to itchiness of the skin. 2. 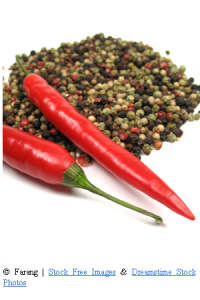 Hot spicy food: Spicy foods can cause more dryness due to its nature and ability to consume fluids, which is the body’s source of yin energy that nourish and moisten the skin. Too much sugar, starch products: All those refined carbohydrate food are classified as dampness generating food in the body, which may present as oozing or blistering skin. There are acute and chronic stages of eczema which can be classified by its appearance. Acute eczema presents in the clinic with itching, redness and small blister with yellow exudates. Chronic eczema can be recurrent at the same place, skin become thicken, gray color with severe itching , especially itching at night time with redness scratching marks and scaling. Traditional Chinese Medicine treats Eczema by acupuncture and herbal medicine according to its pattern diagnosis and which organ involved in each individual. In severe case, external herbal formula can be applied locally with much success. Chinese food therapy is one of important preventative measures and part of treatment during its recurrent stages. Most use herbal formula internally and external to expel external pathogen invasion, such as heat and dampness, at the same time, try to avoid sea food and hot spicy food. There are both organ deficiency and /or blood deficiency that are involved in chronic cases of eczema. One has to be evaluated by a TCM doctor in order to make pattern diagnosis, then treatment by acupuncture, herbology and diet therapy to address underline organ disharmony and the skin condition. 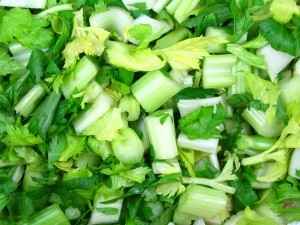 Put fresh celery 250g in boiling water for one min. then take out soaking cold water. Cut it in small pieces adding sot and sesame seed oil. Serve. 1-2 time a day for 7 days. Pre soaking Ku shen for 30 min , then bring to boiling for 20 min, then filter out herbs. Add 10 g sugar and the pre- beat egg slowly in the boiling herbal juice. Put all above ingredient in pot with water to boil for 30-40 mines. 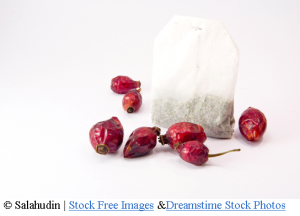 Then take out tea rose bag. Add little dark brown sugar in. drink as tea. One dose a day, 10 days as a course of treatment. II.. Chronic Eczema : Less exudate, but itching is more prevalent most notably at night, there may be scratch marks, with dry skin, some with thickening of the skin, dry month and indigestion. Juicing of: bay Choy, celery, bitter melon, green apple together. Then mix mung bean juice with all veggie juice, add honey, and half lemon juice. Drink once dose a day. 7 days as a course of treatment. Drink one dose a day. 7 days as a course of treatment. Cooking instruction: boiling the hawthorn, walnuts and lotus leaf for 30 minus. Then use the herbal juice only to cook sweat rice to make congee. Add all ingredients together in rice cooker with propitiate amount of water. Twice a day as regular meal. This entry was posted in TCM Food Therapy and tagged acupuncture, celery, dermatitis, eczema, heat, herbal medicine, internal organ, juice, kelp, mung bean, shell fish, spicy, spricot, starch, sugar, tea. Bookmark the permalink. My name is Aline I am 33 years old,I am French. I have been suffering for a year now, waking up every morning with oedemas on/ around my eyelidsn sometimes rednessn doctors told me that it is eczema, some others said chronic urticaria, I tried to troubleshoot taking dairies out of my diet and then gluten with no result, could you recomand something? I suffered from bad urticaria for quite some time. I tried everything and changed everything in my diet, toiletries, etc. But the only thing which worked for me was drinking 3 litres of water and exercise. I’ll let ya know if this works. I get itching at night… around 3 or 4am. Also can I use Conference pear instead of Asian pear? Might not be able to obtain the latter where I live. I have dyshidrotic eczema. Some say a virus that never leaves causes it. IDK. IS this a rheum or phlegmatic condition?